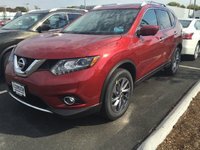 Looking for a Used Outlander Sport in your area? CarGurus has 13,105 nationwide Outlander Sport listings starting at $4,990. The 2016 Mitsubishi Outlander Sport continues to be pretty much an afterthought in the subcompact crossover market. But this downsized version of the 7-seat Outlander remains an inexpensive 5-passenger option for tasks like the daily commute or trips to the mall. The larger Outlander is covered in a separate preview. In any case, the upcoming year’s Outlander Sport is offered in the base ES, up-powered 2.4 ES, midlevel SE, and flagship 2.4 GT trims, as well as a brand new SEL trim slotted between the SE and 2.4 GT. The SEL is basically an SE with the optional Deluxe Package included as standard equipment. 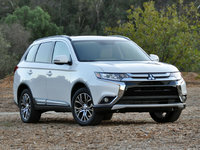 Other changes include a new larger and up-chromed grille design (Mitsubishi’s Dynamic Shield grille), reworked 18-inch alloy wheels, new power-folding mirrors, new wheel lip moldings, a redesigned steering wheel, upgraded upholstery fabrics, an auto-dimming mirror with an integrated remote garage door opener, and a debuting gray interior color option. Three new exterior colors, Cool Silver, Diamond White Pearl, and Quartz Brown, are also available for 2016. The Outback Sport is equipped with standard front-wheel-drive (FWD), but remains eligible for a 4-wheel-drive (4WD) configuration that’s really full-time all-wheel drive (AWD) with a driver-selectable mode that adds rear-wheel-directed torque in situations where extra traction is needed. Cargo area in the Outback Sport stands at 49.5 cubic feet with the rear seatbacks folded. The standard engine for the entry-level Outlander Sport ES is a 2.0-liter inline 4-cylinder (I4) mill that puts out 148 hp and 145 lb-ft of torque. A 5-speed manual transmission is standard, and a continuously variable transmission (CVT) comes optional. Mileage estimates for the I4 come in at 25 mpg city/32 highway/28 combined with the CVT, 24/30/26 with the manual, and 24/30/27 with AWD. Need more grunt? The 2016 Outlander Sport SE, SEL, and 2.4 GT each get the standard 2.4-liter I4 that debuted for 2015 and boasts 168 hp and 167 lb-ft of torque, available only with the CVT. Expect mileage to return estimated at 25/31/27 with FWD and 24/29/26 with AWD. As indicated above, the 2.4L powerplant is available on the ES trim. Look for the 2016 Outback Sport to complement its new look with a standard rear spoiler and a roof rack; the 2.4 GT adds upgraded exterior trim pieces. Inside, lower 2016 Outback Sport trims include upgraded upholstery material and higher trims sport standard leather upholstery. Full power accessories are also standard, along with cruise control, telescoping tilt-wheel steering, and climate control. Higher trims feature keyless entry, heated front seats, a power-adjustable driver’s seat, a rear-view camera, rear parking sensors, and the new auto-dimming rear-view mirror with remote garage door opener. The 2016 Outlander Sport ES trim again features a CD/MP3 player with 4 speakers and an auxiliary audio input, while the SE and higher trims add standard satellite radio and Bluetooth hands-free calling. Options include a panoramic glass sunroof, GPS navigation (with a new 6.1-inch audio display), and a 750-watt Rockford Fosgate audio system with 9 premium Surround Sound speakers. Standard safety equipment aboard the 2016 Outlander Sport includes 4-wheel antilock brakes (ABS), traction and stability control, front side-mounted airbags, front and rear head curtain airbags, and a remote antitheft alarm. The SE and higher trims add standard daytime running lights and front fog/driving lights, and the 2.4 GT also boasts standard high-intensity-discharge (HID) headlights. The National Highway Transportation Safety Administration (NHTSA) gives the current Outback Sport 4 out of 5 stars in various safety tests, while the Insurance Institute for Highway Safety (IIHS) awards this little crossover its highest rating of Good in all tests except the small-overlap frontal-offset, where it received a second-best score of Acceptable. Rivals to the 2016 Outlander Sport once again include the Fiat 500X, Jeep Renegade, Nissan Juke, and Kia Soul. Honda’s debuting HR-V crossover will also present Mitsubishi with another challenger for the upcoming year. 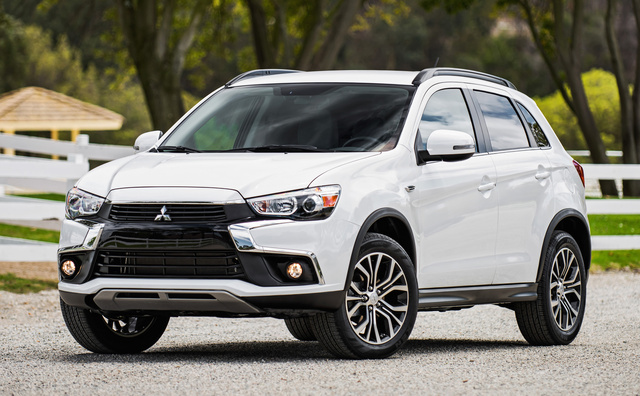 What's your take on the 2016 Mitsubishi Outlander Sport? Have you driven a 2016 Mitsubishi Outlander Sport?